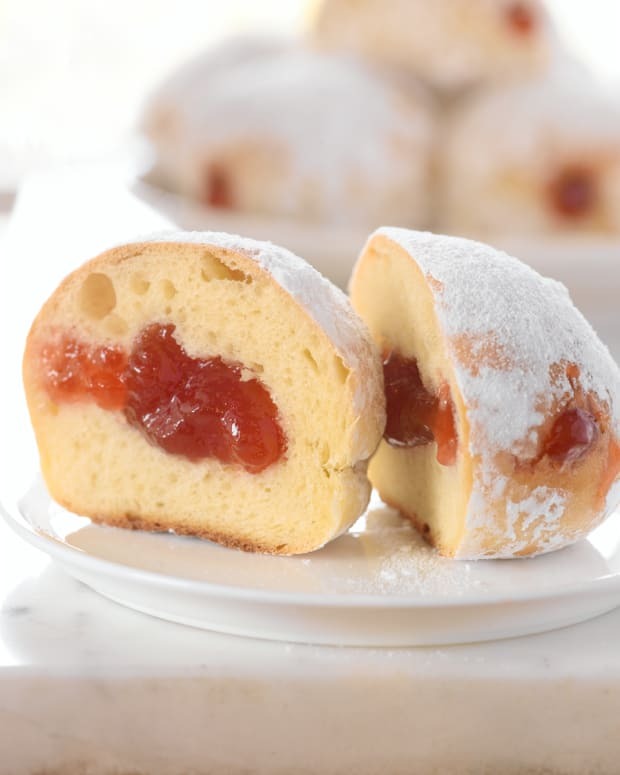 Uber-easy jelly-filled sufganiot (doughnuts) are ideal for Chanukah or anytime you get a craving. My sister-in-law Carly and I attempted this recipe one Chanukah night when the whole family came over for candle-lighting. Everyone got involved. Some of us were on deep-fry duty, some of us powdered and the rest "quality control" tasted. We all had a blast. There was flour and confectioners&apos; sugar everywhere. In a large bowl, place flour, yogurt, vanilla sugar and eggs. Knead until all ingredients are combined and a sticky, doughy batter is formed. Cover with a kitchen towel and let rest for 15 to 20 minutes. Heat 6 cups canola oil in a 6-quart stockpot, covered, over medium heat. When dough is ready, uncover oil and raise heat to high. Scoop out a tablespoonful of batter and drop in oil. Don't make the doughnuts too big, so they can cook through. 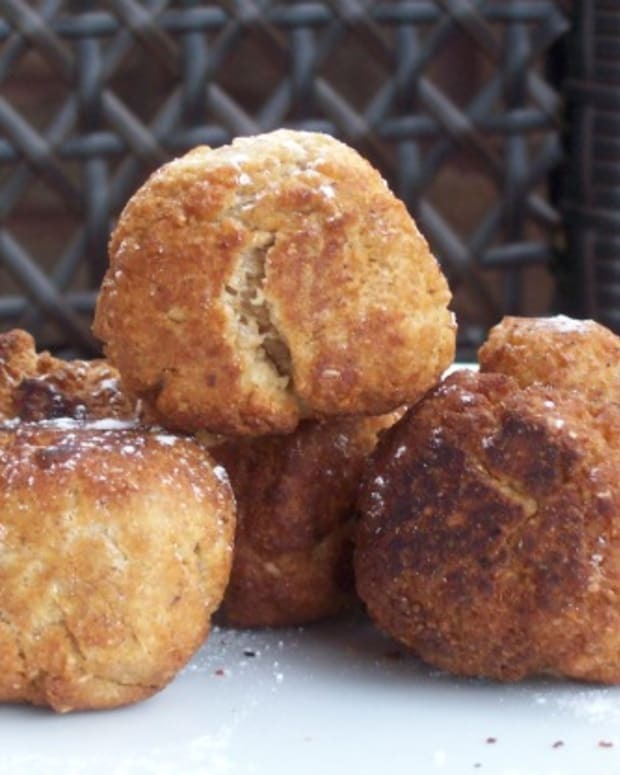 You should be able to fry about 7 doughnuts at a time. 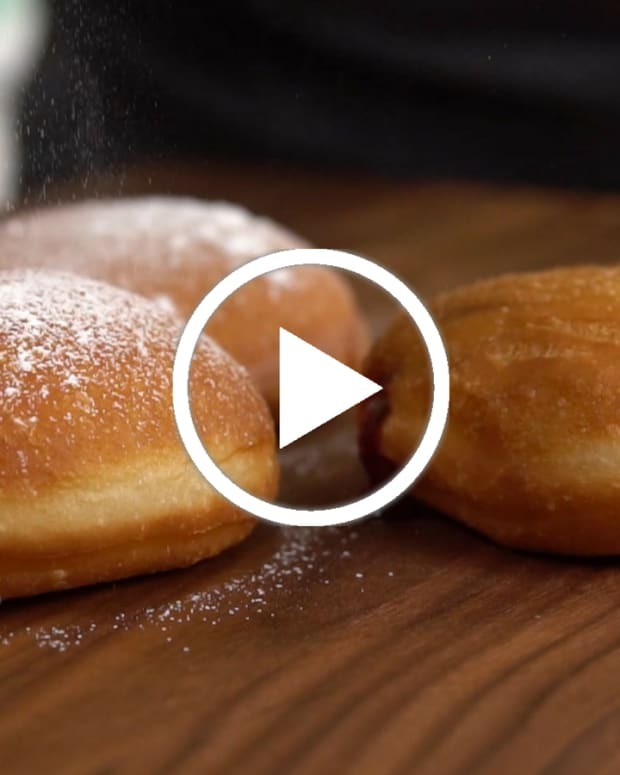 Using a slotted spoon, turn doughnuts when halfway browned, after 30 seconds to 1 minute. Fry for another 2 to 3 minutes or until entire doughnut is deep golden brown and cooked through. Remove doughnuts and let cool on paper towel-lined plates. Repeat previous 2 steps with remaining batter. 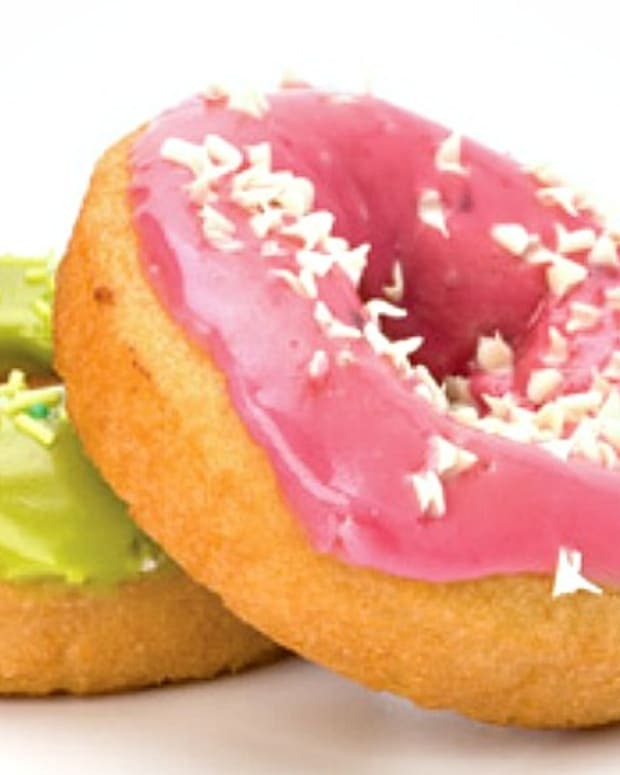 Fill a squeeze bottle with jelly and inject a little into each doughnut. 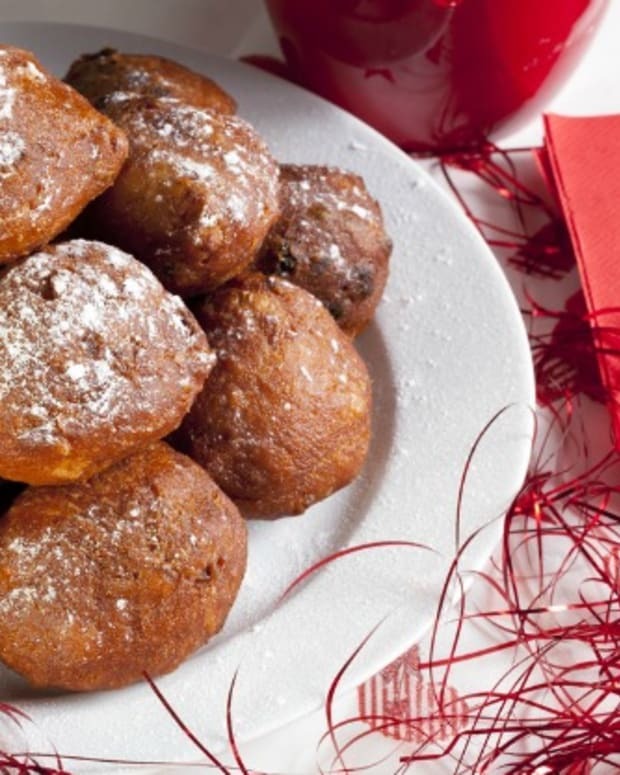 Roll each doughnut in confectioners' sugar. 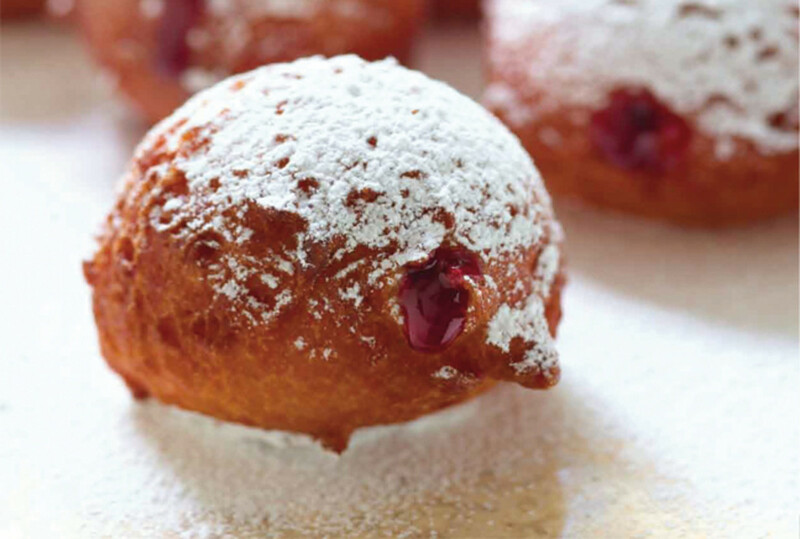 Or, shake 3 doughnuts at a time in a paper bag filled with confectioners' sugar. 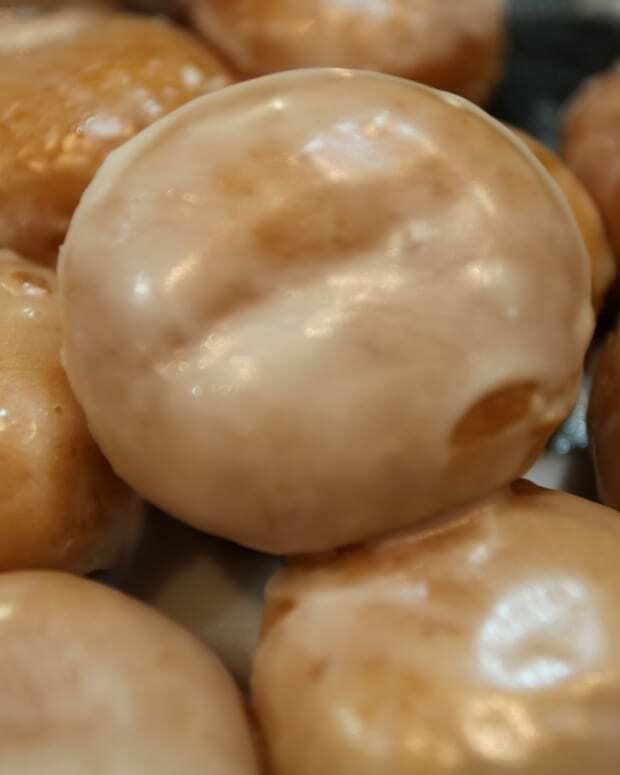 Browse through all our Chanukah Doughnuts.